Let's take a look at the Strawberry version first. This was the first lip balm I purchased before I bought the original. I am a lover of flavored balms and this one was right up my alley. 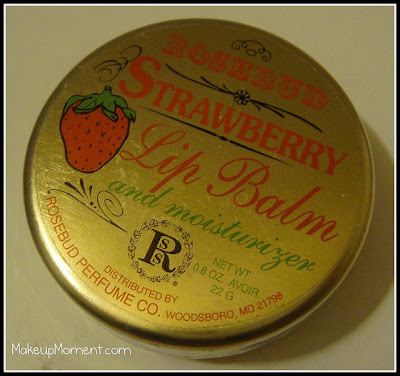 I really like the tin packaging because it sort of gives the balm an antiqued, classic feel to it. I know some may have problems with the packaging being unsanitary and such but this really isn't a problem for me as I don't really mind it. I like that this lip balm is very thick and creamy in consistency and it smells really yummy! The ingredients list is pretty short as well, which I really like as well. This lip balm is best for moisturizing chapped, and dry lips. I have been using this lip balm for about 2 weeks now, and I will say that it does deliver what it promises. My lips are super dry and chapped and after using this strawberry scented lip balm, I have noticed an improvement on my lips. They definitely don't look or feel dry and chapped at all! I like that this balm does not feel sticky on my lips either. My only gripe with this balm is that it feels a bit waxy and heavy on my lips, as if I just applied a ton of product when I really applied a little bit. It does not feel very comfortable on my lips at all. 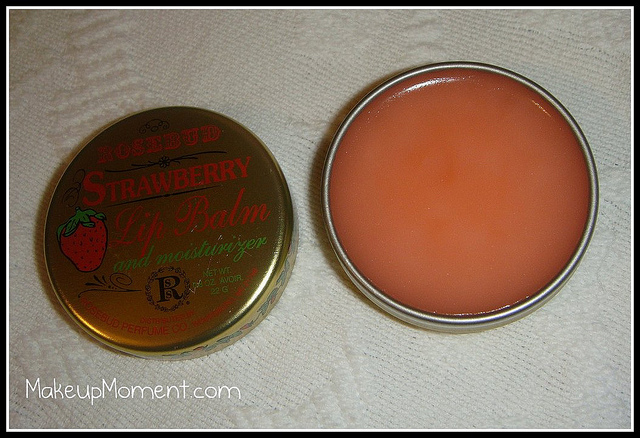 Even though I liked this Strawberry scented balm, the original Rosebud Salve stole my heart. Now, let's take a look at Rosebud Salve. Now this balm is more like it! 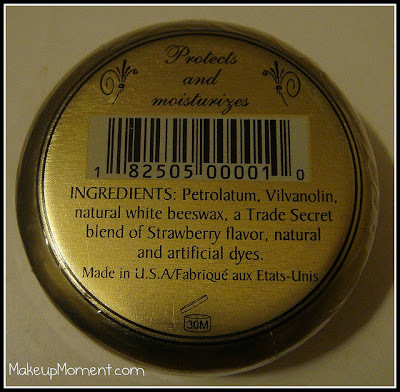 Believe me when I tell you all that this balm feels like heaven on the lips! The scent is delicately rose-scented, and the formula and consistency of this balm is very smooth and soft-even soft to the touch. Just a little tap on the product and you have enough to apply on your lips. A little bit of product goes a long way. 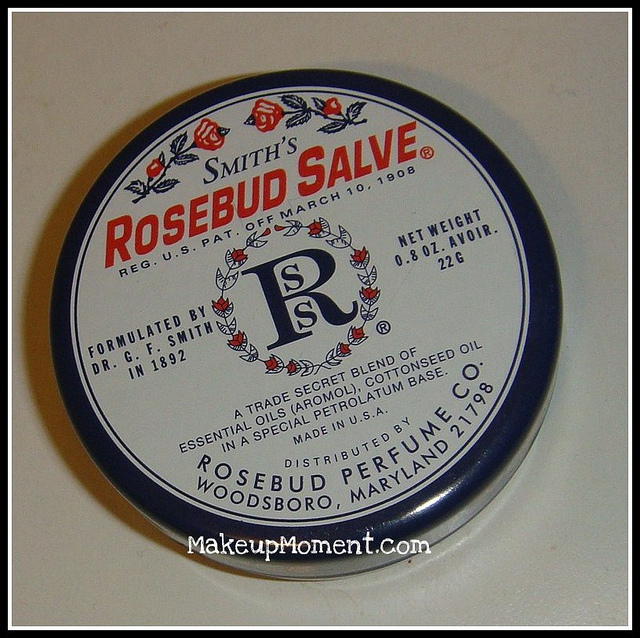 And get this, Rosebud Salve is not only great for moisturizing dry and chapped lips, this baby is a multi-purpose product! You can apply Rosebud Salve to help moisturize dry elbows, knees, and even help with irritation. The possibilities are endless. This balm goes on smooth on the lips, and they make my lips look and FEEL very moisturized and healthy, and may I add-a little plumper too. But that may just be me LOL! 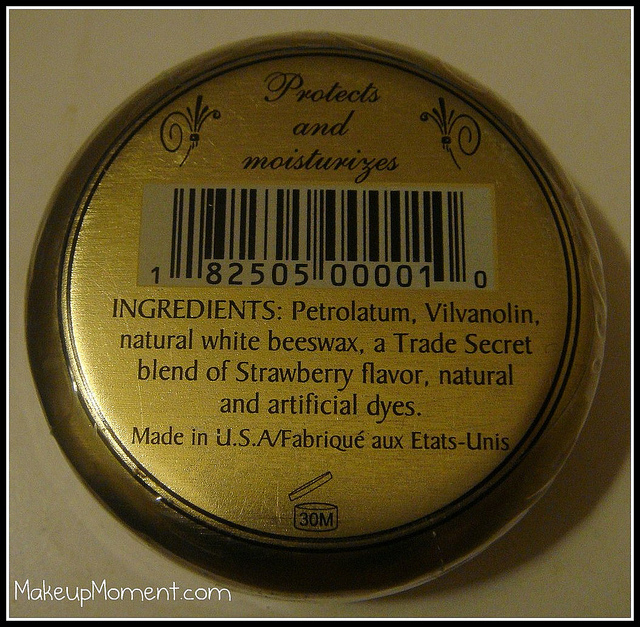 I also like applying this balm on the corners of my lips where they can sometimes get dry and flaky. Overall, I love this lip balm. And for those of you who are concerned about the unsanitary packaging, the original Rosebud Salve is available in a squeeze tube version as well ($6.00). 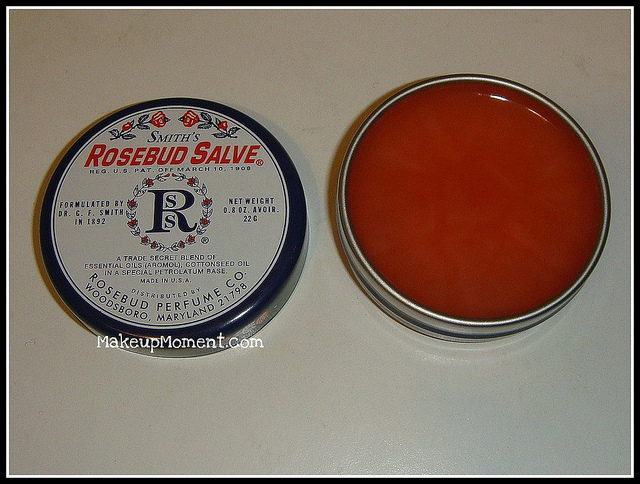 To sum this post up, I like both the balms but I have more love for the original Rosebud Salve. I do wish though that these lip balms contained some sort of SPF in them. That would really seal the deal for me. Each of the balms apply colorless on the lips both leaving a healthy looking sheen on the lips. The balms last a good 2-3 hours before I feel like I have to re-apply again. But rest assured, my lips feel hydrated and moisturized all day long. What do you all think of these Rosebud lip balms? Ever tried any of them? Love them? Hate them? Let me know in the comments. I would love to hear your thoughts. I am now off to watch a new episode of The Walking Dead on AMC. Love that show. Are any of you fans as well? Good Night dolls! Im sorry it didn't work out for you Susie :( I have tried the Burts Bees lip balm and I really liked it at first, but it dried out my lips :( I wonder why some products are like that for some people. They work great at first, but the more you use it the less effective it becomes. So frustrating, especially when you think you have found your HG product...LOL!